As a little girl, I had a fascination with gardens. What grows in them? What lives in them? And what lurks under the rocks? Our garden in Kew appeared gigantic, with a bountiful peach tree at the end of the path. This sat close to our green-house which was rather dilapidated with broken windows. An old slow-worm slept under a large stone and we’d often lift up and scream with delight, should my sister and I find it. The parallels between this and The Juniper Tree by Philip Glass are astonishing. The memories are vivid and colourful. Most of all, full of curiosity. Gardens are always changing and evolving. And they have a life of their own. My voyage in opera is also a path of discovery. To find new and exciting projects is a rather daunting challenge. 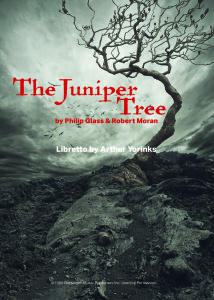 It’s a miracle to come across an opera based on the Brothers Grimm fairytale “The Juniper Tree”, Philip Glass. Most notably, since it hasn’t been seen or heard in the UK before. I aim to bring it to life. It reminds me of my childhood when my Austrian mother told me bed-time stories from German folklore. 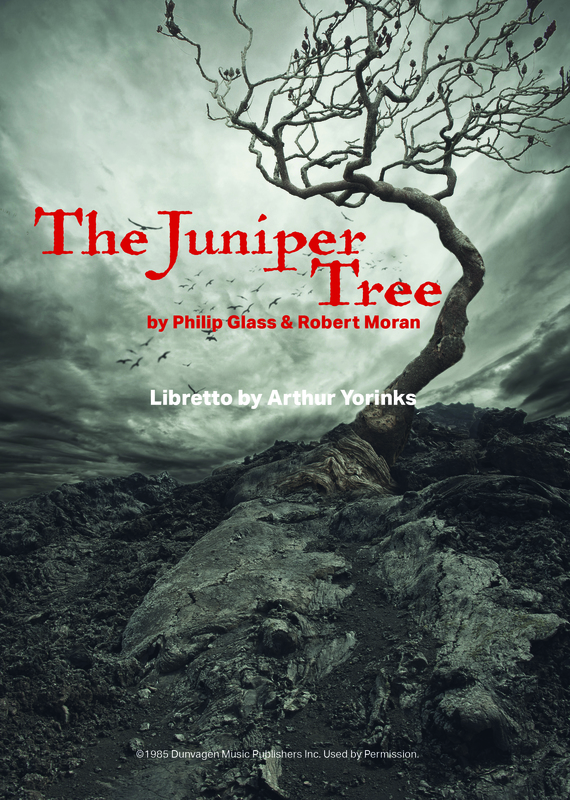 Arthur Yorinks, author of 35 children’s books, has adapted it and the music by Philip Glass and Robert Moran is vigorous and a compelling piece of theatre. So this in itself, is worthy of a place in the opera repertory. “The Juniper Tree” tells of a wicked stepmother who murders her stepson. Fearing that he reminds her husband of his late wife, she therefore serves him up in a stew to his hungry, unsuspecting father. The boy’s sister therefore buries her brother’s bones under a juniper tree where their mother is buried. The child’s spirit returns as a singing bird who wreaks vengeance on the evil stepmother. Eventually, he is restored to life in the bosom of his family. All ends happily ever after. As with most fairy-tales, there’s a moral. If you do wrong you will be punished. If you do good, you will be rewarded. Maybe that’s what parents are supposed to teach us? I am intrigued to discover that no-one else in the UK has performed this fantastical gem. As a result, I quickly accrued a top creative team and they will no doubt do justice to the opera. Since it’s premiere in the US thirty-two years ago (also the year it was composed), at the American Repertory Theater in Massachusetts, surprisingly “The Juniper Tree” hasn’t been seen elsewhere. We attempt to fathom out why and are left blank. The music is first class and the story is magical. 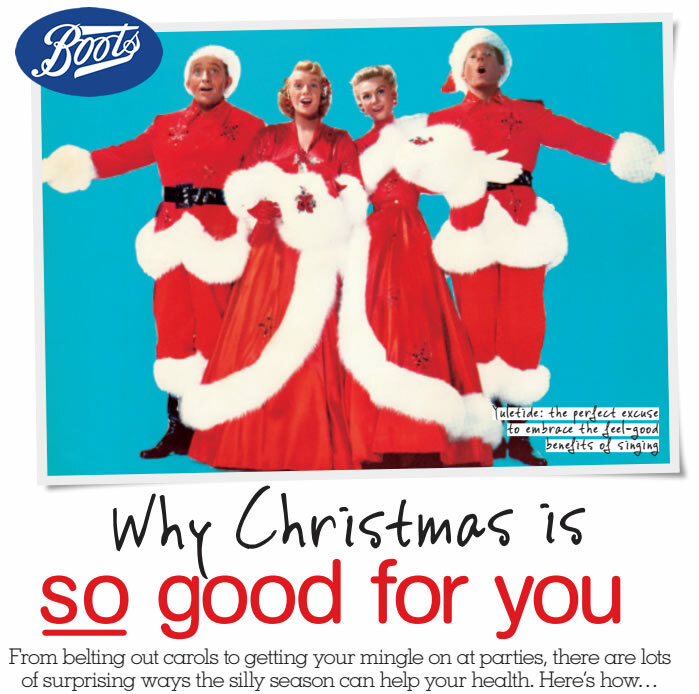 It also has great vocal writing for the singers. Are these not the ingredients for a good opera? Philip Glass is 80 years old and going strong. His music is probably more prominent than ever before. While he has collaborated with Doris Lessing, Martin Scorsese, Ravi Shankar, David Bowie, Paul Simon, on this occasion it’s with composer Robert Moran. 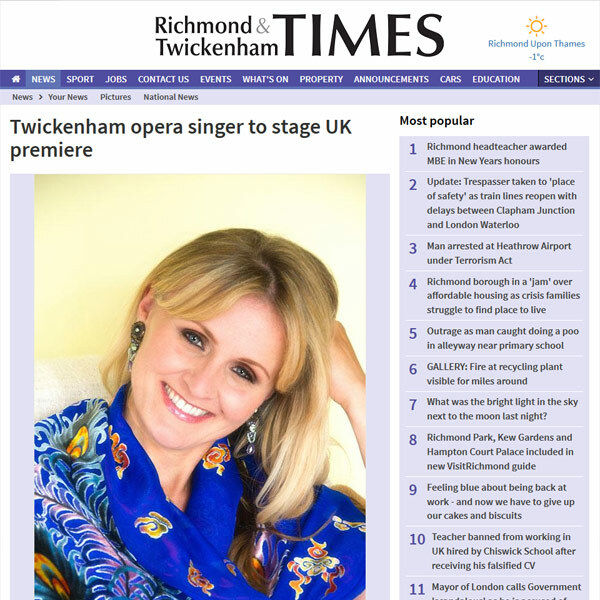 Finally, we’re thrilled to introduce “The Juniper Tree” opera to UK audiences. Mariya Krywaniuk as the evil step-mother leads an electric cast while James Corrigan as her suffering husband sings opposite her. Ten-year old Lia Tynan sings and what is most impressive, she’s already made her Royal Opera House debut. In addition, we have Angus Whitworth, head chorister at the Chapel Royal. We have children from schools in the borough taking part and a community chorus. The director is Donna Stirrup (English National Opera and Glyndebourne Festival Opera) and Andrew Langley conducts an ensemble from the London music colleges. Set and Costume Design is by Laura Jane Stanfield. “The Juniper Tree”, Philip Glass is performed on 30th & 31st March 2017 at 7.30pm at The Hammond Theatre, London TW12 3HD. The Juniper Tree, press release January 2017, Angela Harrison Media Ltd.